Kwikspace is a specialist relocatable building manufacturer in South Africa, also serving the Mozambican and Zambian markets. It is a level III BEE company manufacturing double wide prefabricated units among many other modular building types. These structures are 7 m wide and available in lengths of in 6, 9, 12 or 18 m, and provide additional capacity compared to their single-wide counterparts. 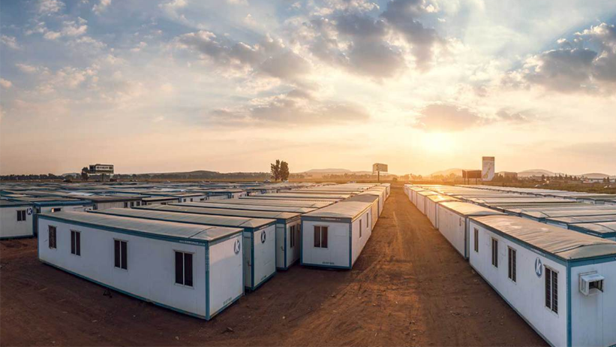 Finished by combining 2 single-wide prefab buildings of 3.5 m each, the varied lengths enable customers to choose the most appropriate size to satisfy their space demands. Available to rent or buy, modular construction double-wide structures can be used for industrial, residential and commercial applications. They provide the ideal space without the costs of building fixed premises, providing a significant saving for either long-term or short-term applications. Kwikspace has 6 branches across South Africa, 2 in Mozambique and 1 in Zambia, allowing for delivery to your doorstep within2 to 4 weeks for purchased units and 5 to 10 days for rented units. Optional extras like air-conditioning, lighting and burglar bars are available on request and fitted prior to delivery. 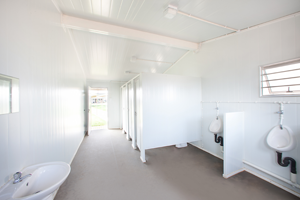 Events, remote sites, plant shutdowns, schools, and refurbishments; our panels used are easily cleaned, hygienic and require low maintenance, providing clean, safe ablution facilities. 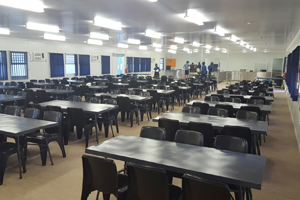 Our double-wide units are used as dining rooms in schools, onsite, at events, practically anywhere. They also make the ideal temporary / onsite, school or outdoor kitchens. Ideal for the mining and construction industries. 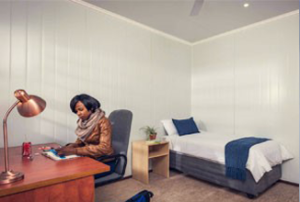 Sometimes called “park homes”, prefabricated homes are used for various industry and domestic accommodation applications, including boarding schools. Prefabricated offices are ideal site offices. They are used as plant reception, security huts or spares store – practically any application across multiple industries. 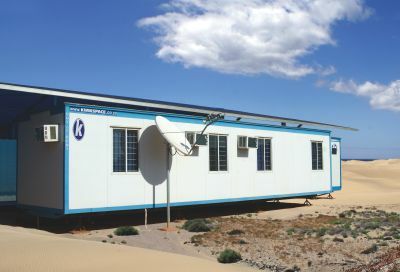 Portable prefabricated classrooms for remote sites and urban schools. 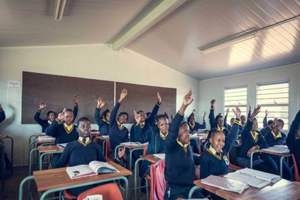 Also used as extra classrooms and temporary classrooms at established schools. 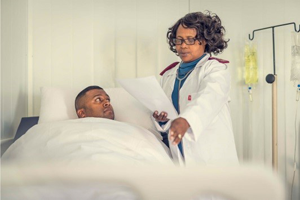 Clinics or hospitals that need more treatment space, urban medical centres or difficult to access rural clinics, double-wide units offer the ideal solution. We follow the latest developments and adapt our prefab building panels to benefit our customers with the best available systems. Because of this, we are at the forefront of technological advances in the modular and prefabricated building industry. Rent or own double-wide units suited to your requirements. 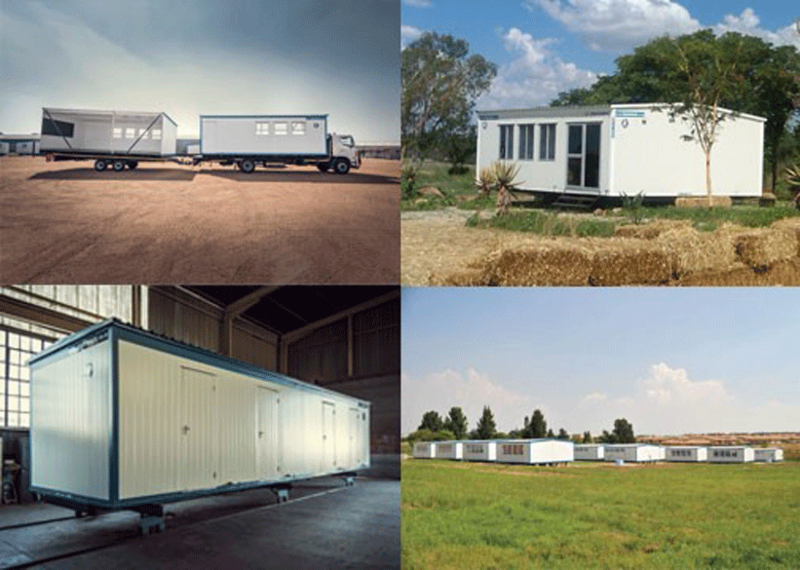 Used on construction or mine sites as mobile offices, prefab homes, security huts and many more, Kwikspace double-wide buildings provide comfortable, convenient and cost-effective work spaces for any site and any application. They provide the ideal versatile space on any site.